Most people know Karen Rigg, CISR, and Robert Rigg, CPCU, CIC, CLU for their outgoing, friendly demeanor and successful insurance business, the Rigg Darlington Group. 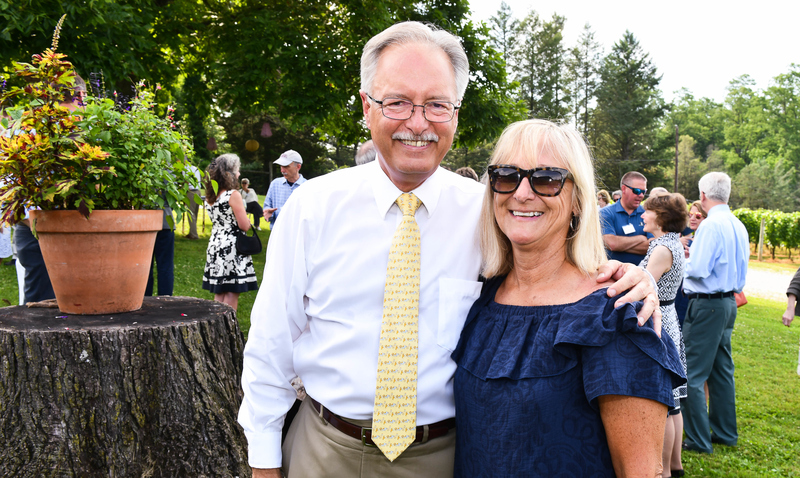 It only takes a little bit of conversation to discover that Karen and Bob are deeply involved in their community, as volunteers, board leaders and generous donors. Bob is a partner of the Rigg Darlington Group of Exton and Reading. The Rigg Darlington Group is part of Acrisure which is one of the top 8 largest insurance brokerage firms in the country. With over 170 offices nationwide and Great Britain. Bob enjoys serving on boards that get things accomplished and lending his time, talent and treasure to nonprofits that focus on improving our community. Some of the nonprofits he is deeply involved with include the Rotary Club of Thorndale, YMCA of Greater Brandywine, Good Works, and Chester County Futures. Bob served with distinction as Chair of the Board of the Chester County Community Foundation, where he is now immediate past-chair. Professionally, Bob serves as a director of First Resource Bank. Previously, he served as a director of National Penn Bancshares, National Penn Bank, and Elverson National Bank. His is a strong advocate for Community banking because of how it benefits our local community. Karen and Bob make grants from the Rigg Family Foundation to charities throughout the region including Camphill Special School, The Point, Chester County Futures, Honey Brook Food Pantry, Uptown! Knauer Performing Arts Center, Good Works and YMCA of Greater Brandywine among others. There are many people, families, and charities throughout Chester County who are better off today thanks to the generosity and thoughtfulness of Karen and Bob Rigg.